A6.0 Historical Rolette County and St. John N.D.
A16.0 Family in Alberta/ B.C. This Appendix focuses on the EXTENDED BROOKS FAMILY GENEALOGY. The early life of Hubert Brooks from his birthplace in Bluesky, Alberta; to his move to Ottawa, Ontario; and then on to Montreal, Quebec. The life and travels of his father Alfred Brooks and mother Laura Farant Brooks as well as Hubert's aunts and uncles in the Farant family branch. The life and travels of Alfred Brooks' brothers, that is Hubert Brooks' uncles; Otto Brooks, and Joseph Brooks as well as his aunts; Nellie Brooks Bolsted, and Dora Brooks Warren and their family branches. The life and times of Hubert Brooks' grandfather, Hubert Rousseau Brooks and his wife, Hubert's grandmother Marie Grégoire Brooks. The life and travels of Hubert's granduncles (great uncle) and grandaunts (great aunt) in the Rousseau and Grégoire and their family branches. The life and travels of Hubert Brooks family, his wife Birthe (Bea) Grontved Brooks and their immediate children Ralf, Diana and Brenda. The life and travels of Hubert's sister Doris Brooks Gendron and her immediate family. 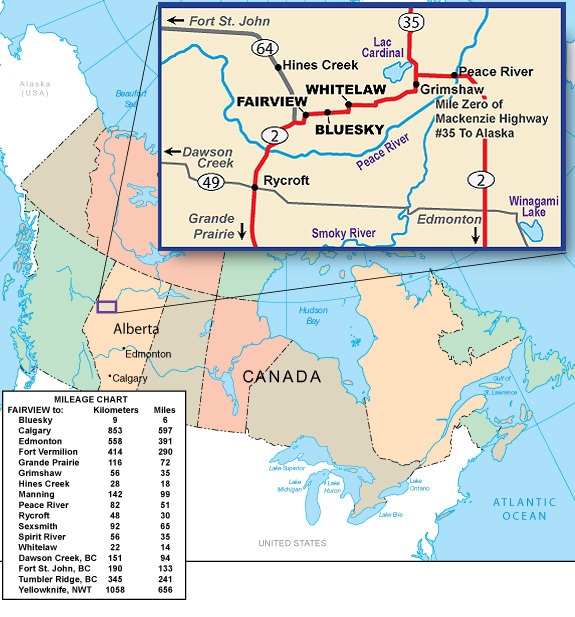 Hubert Brooks was born in Bluesky, Alberta on 29–December 1921 to Laura Brooks (née Farant) and Alfred Joseph Brooks. Two years prior, Hubert’s mother Laura had lost baby twins at childbirth – husband away and she was isolated in a prairie log cabin. Hubert's birth was therefore was a time of celebration with the deliver a healthy baby boy. Further celebrations and heartaches were in order in years to come with the joyful arrival of daughter Doris and sad death of son Maynard. Bluesky is in the Peace River Country of north western Alberta just north of the banks of the Burnt River, NW of Edmonton. The scene on the back of the old (1954) Canadian dollar bill is of Bluesky. For those unfamiliar with the back of the old Canadian $1 bill, the scene illustrated is taken from a few miles east of Bluesky looking west towards Fairview on NO.2 highway. The elevators at the end of the dirt road stand out silhouetted against the western skyline with a dark cloud hanging over a typical Peace River sunset. Apparantly there are a number of Prairie towns that lay claim to this image on back of the Canadian One Dollar Bill. For example Brandon, Saskatchewan is one such town. Although Brooks family lore and living relatives swear this is an image of the grain elevators at Bluesky, I suspect the Canadian Mint intended this as a generic image - not specific to any one location. The website Brandon.ca had a discussion on this subject and one participant posted an apparant response from the Bank of Canada on this subject. In response to your inquiry, the question on the location of the scene depicted on the back of the 1954 1-dollar note has often been asked, and sadly we always have the same answer to give: it is not known where exactly the image was taken. When the Bank of Canada was in the process of designing the 1954 series of notes, it selected images of scenes that showed the diversity of Canada’s landscape and that represented the different parts of the country. Sorting through hundreds of images from several sources, the Bank selected a handful of images, including the one attached that was used for the back of the 1-dollar note. Unfortunately there was no information accompanying the image identifying neither its source, nor the photographer who took the image. For that we are unable to conclude when and where the image was taken. We call upon the citizens of Canada to find the location for us. I hope this information is useful to you. Thanks to Allen Hingston for pointing out this link. How the Brooks clan got to Bluesky, the impact they made, and the eventual retreat of some of the clan back to eastern Canada is an interesting slice of Canadiana history starting with the original family name of Rousseau out of the Canadian Province of Québec. How the name was changed from Rousseau to Brooks is one story that will shortly unfold.